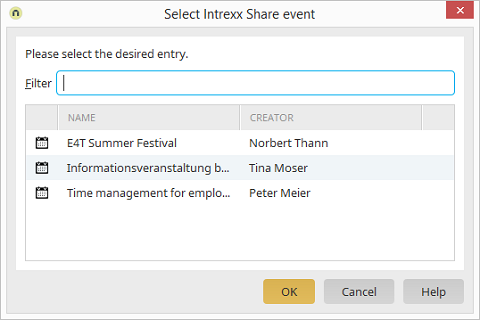 You can search for existing Intrexx Share events here. Displays the name of the event. Displays the creator of the event.